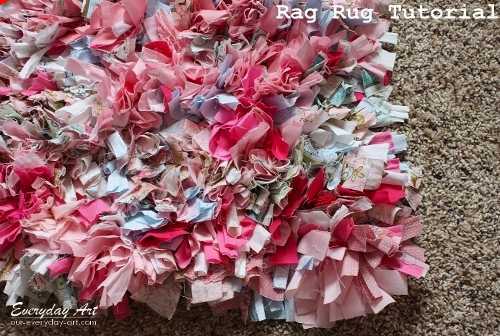 Craftaholics Anonymous shares their tutorial for making rag rugs. Their rugs are made by tying 1 inch by 5 inch scraps of fabric onto a non-skid rug mat. The beauty of rags rugs is that you can choose the fabric and colors that you want so you end up with an original and customized rug. They become beautiful art for your floor and can tie a room together.